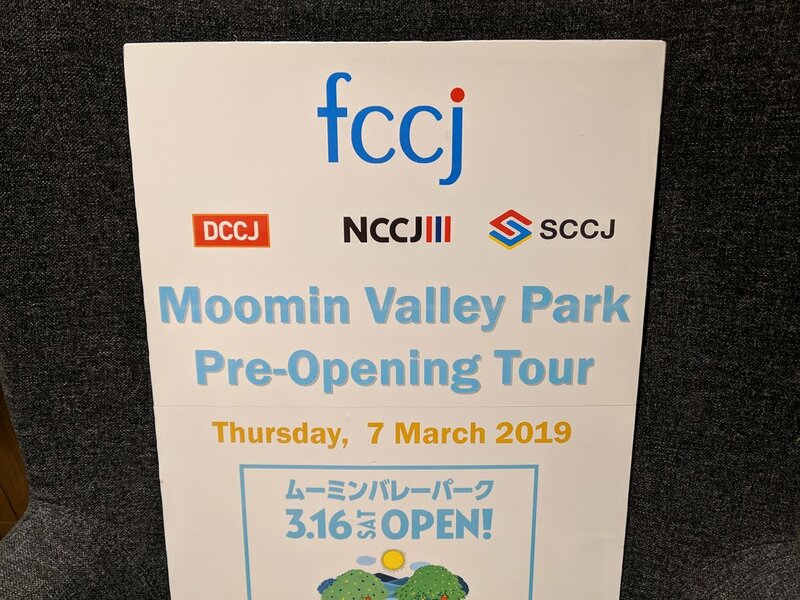 On Thursday March 7th we joined the Finish Chamber of Commerce on a Pre-Opening tour to the Moomin Valley Park in Hanno, Saitama prefecture. 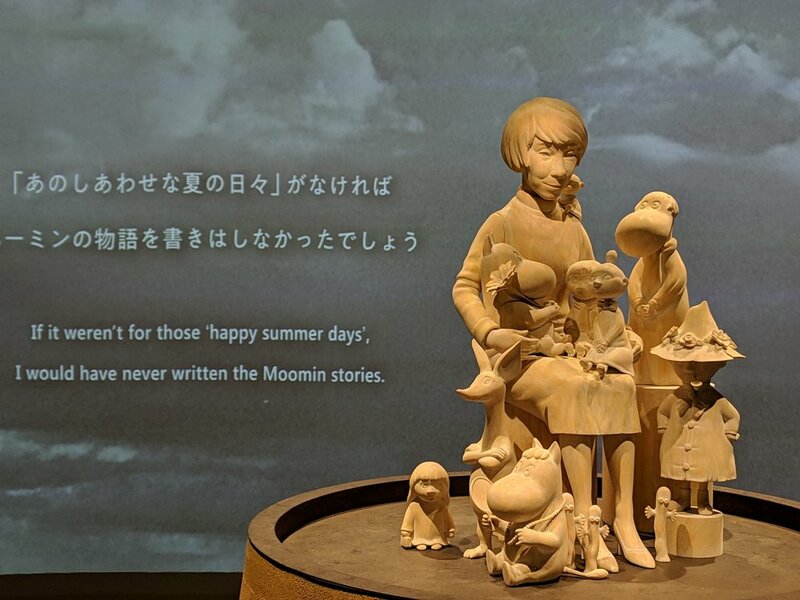 Moomin Valley Park, to be opened on Saturday, 16 March, is the second phase of the Metsä Project. The first phase, Metsä Village opened on 10 November 2018. Along with members of the other Nordic Chambers we got a guided tour around the Moomin Valley Park led by Robert Hirst, the Representative Director of Moomin Monogatari, Ltd..
After the tour we had a dinner together inside the Metsä Village, where our participating Corporate Members also had the opportunity to talk with the park’s management regarding possibilities for future collaboration. 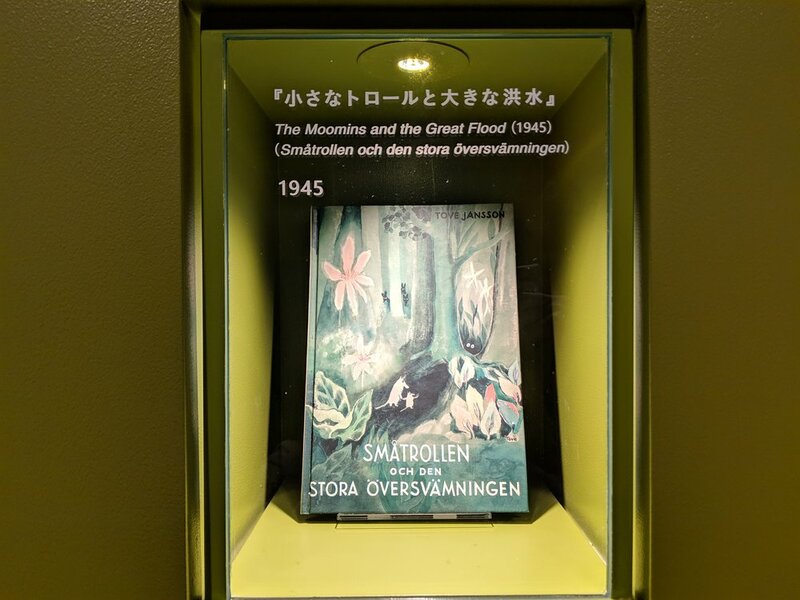 It can be mentioned that Tove Jansson, the author of the Moomin books, was herself a Swedish-speaking Finn, and thus a great symbol for Nordic cross-border collaboration. 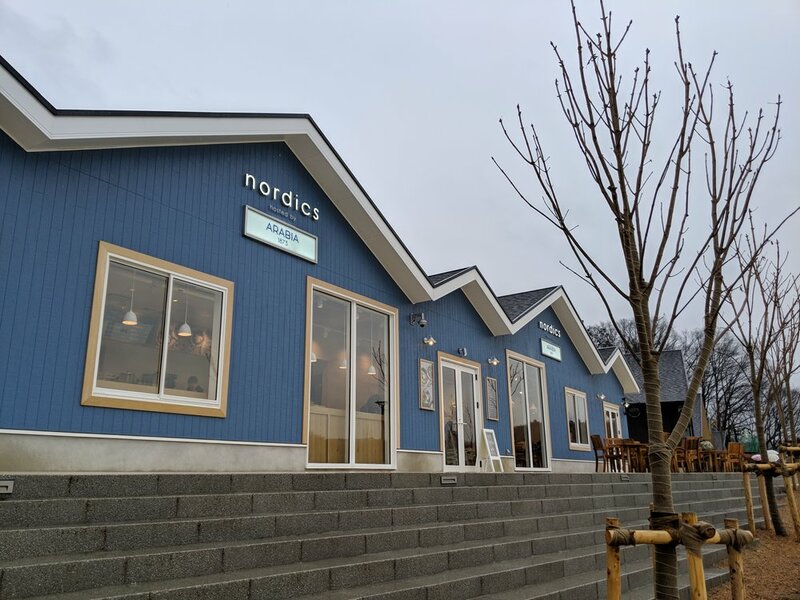 And indeed, the Metsä Village represents all the Nordic countries: At the village there’s even a Norwegian-inspired bar named “Utepils”! 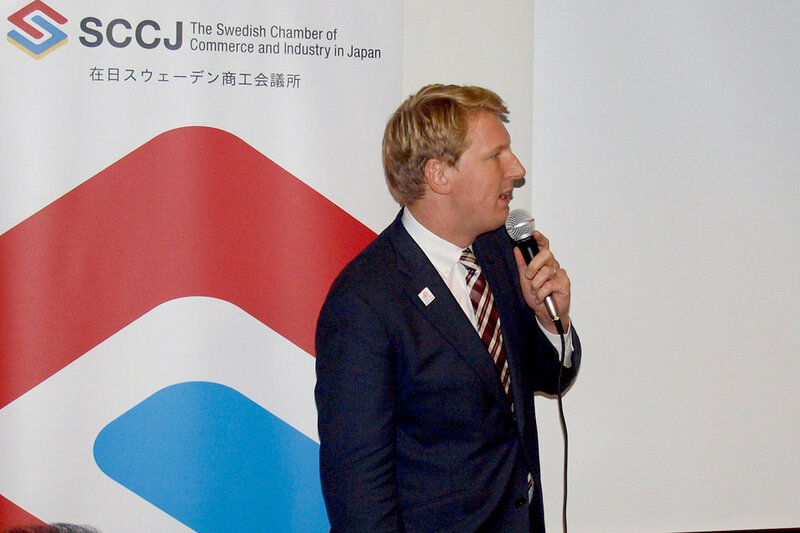 We hope that Moomin Monogatari, Ltd. will succeed in attracting even more interest to the Nordic region in Japan, and that there will be more opportunities for Norwegian companies to cooperate on the Metsä Project in the future. Organizers and speakers lined up. 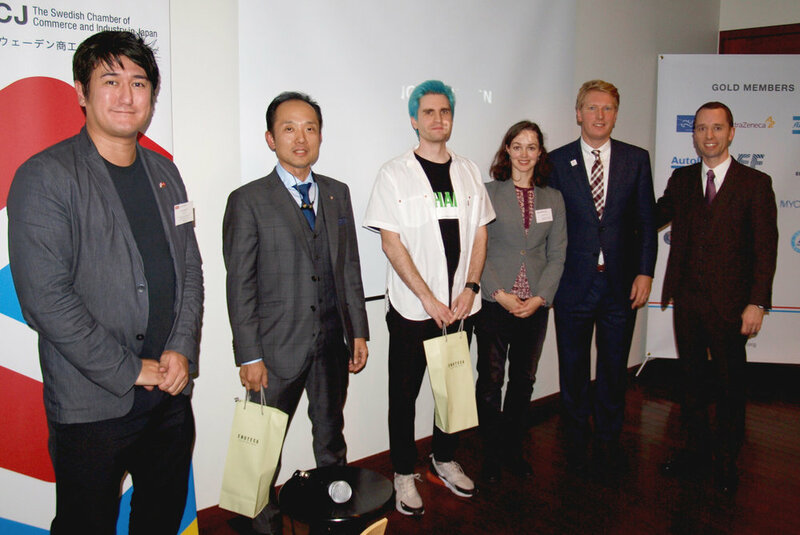 The Nordic Chambers organized on Wednesday, 21 November an event with Spotify and Bang & Olufsen titled: "The Future of Music Consumption". 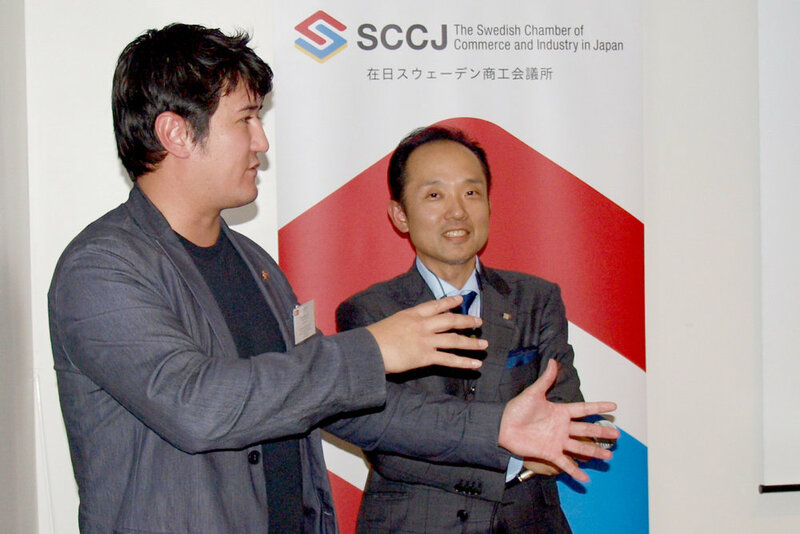 Henrik Johansson, Director, Spotify Japan and Shin Iwanaga, President and Representative Director, Bang & Olufsen Japan presented their companies and how they see the future of distributing and consuming music. 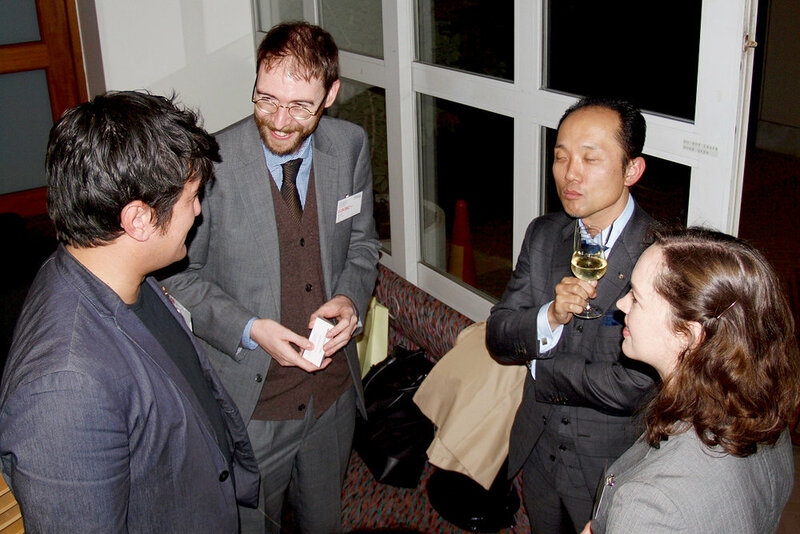 After the presentations and a Q&A session the 55 participants from the five chambers could enjoy drinks and food and a lot of networking. 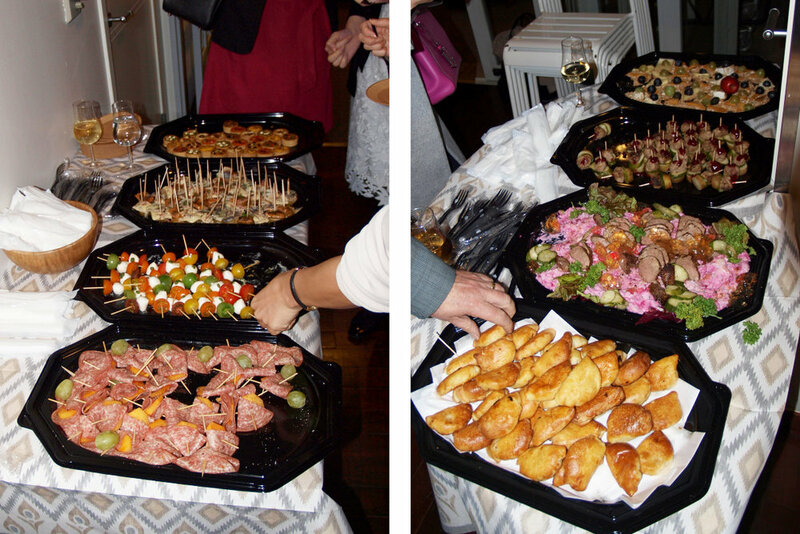 On Thursday, October 18 over 50 people joined us at the Norwegian Embassy for the NCCJ’s annual Shrimp Party, one of our most popular social events. This year the Shrimp Party was conducted later than usual due to our recent change in ED. Despite the cooler weather than at previous Shrimp Parties the embassy’s pool side yet again proved the perfect place to spend a casual evening with old and new friends and colleagues. Normally we have served shrimps with the shell on, and part of the fun was that participants had to remove the shell themselves, a very common thing for Norwegian shrimp parties. 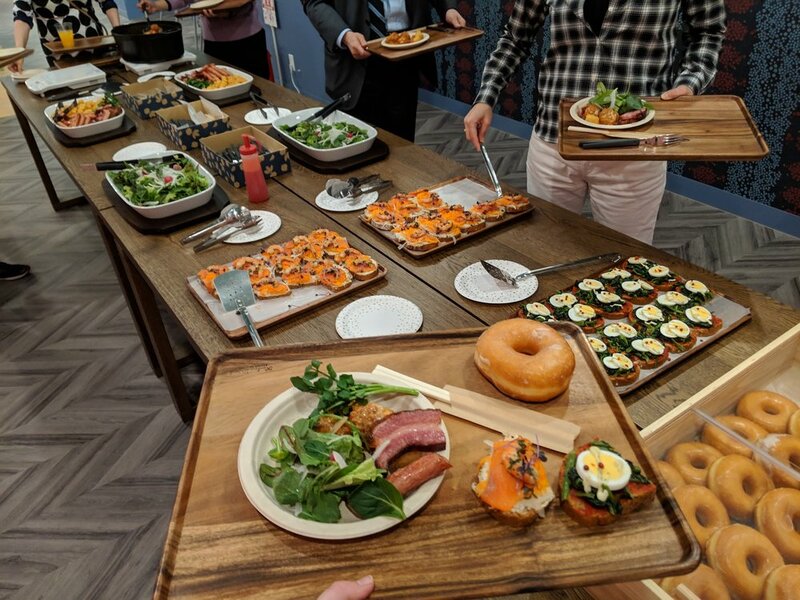 This year our provider had a last-minute delivery problem and could only bring us shell-less shrimp, but some participants pointed out that the lack of shell had made it easier to eat a lot of shrimp this year. Less sticky fingers might also have been a positive aspect of this year’s delivery challenge. We would again like to thank NCCJ Members and friends for joining us this week, and hope to see you again at future events.